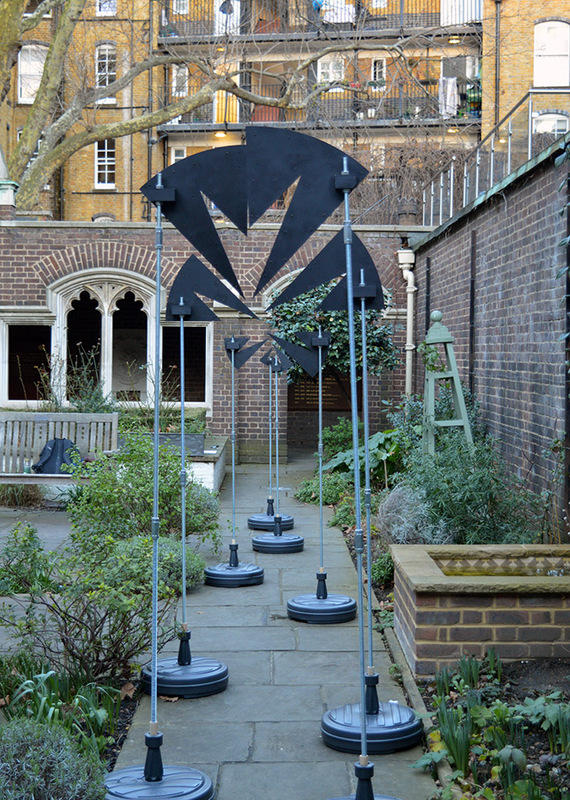 Second year 3D Design students at Camberwell worked in collaboration with the Museum of the Order of St. John in Clerkenwell, London to create an interactive piece of art, sculpture or installation, that engages viewers with the museum in new and interesting ways. 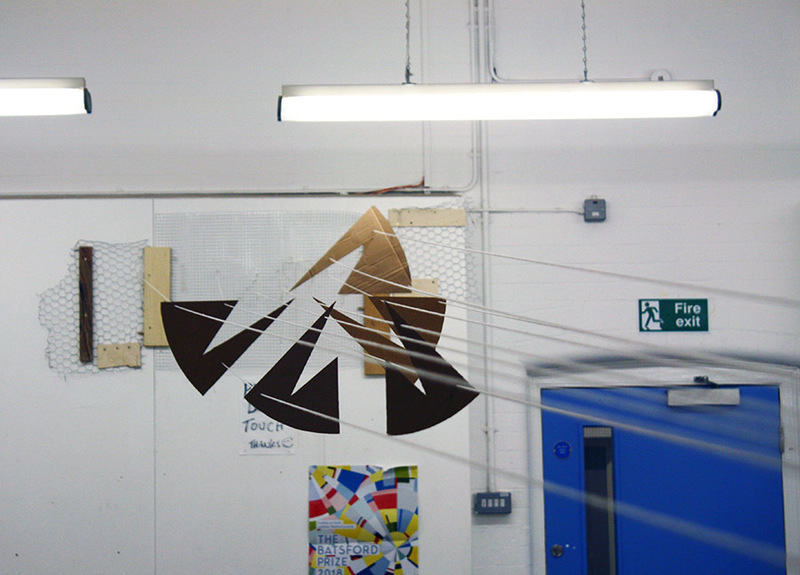 We talked to student Jacob Walls about his piece: Organised Fragments / Eight Piece Perspective. I chose to focus on the St. John Cross, I did this by deconstructing its form into eight individual and unique sections, that rely on each other and their differences to become unified and whole again. This as a concept, fascinates me, slightly touching upon the chaos and complexity theory. 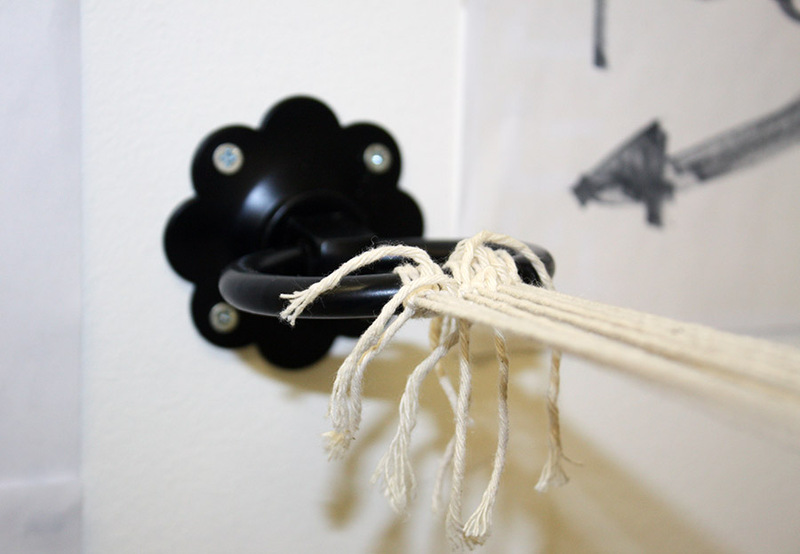 My work examines how we view objects in relation to the space they’re in, readjusting and reshaping around the viewer and their relationship with what’s seen. Challenging perception by designing an illusion that tricks the eye, giving an impression of a flat image once all eight parts of the installation line up. Finding order out of disorder, fragmented and individual pieces that become unified, but only once we share the same viewpoint. 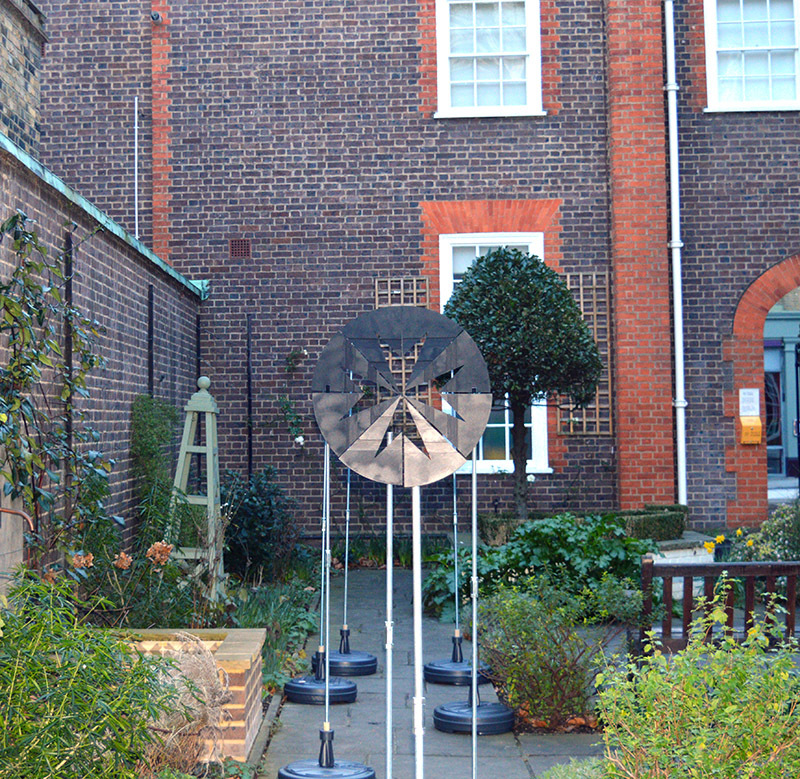 This piece spanned across the Museum garden, reaching around 7-8 metres with an added 3 metres from the first piece to the viewpoint, giving an overall distance of 10-11 metres. I really enjoyed the challenge of working with the garden as I love spatial design and creating installations that fully occupy the place they’re in. My main method of working involved extensive prototyping, designing and developing in my sketchbook and constantly referring back to my Autocad technical drawing to make sure the dimensions and measurements were correct. I worked at the Maker Space workshop at uni to laser cut pieces of plywood doubled up and attached to another layer of laser cut plywood for my main sections. I then painted them black, the museum cross is white on a black background and I wanted to work with the negative space. I was essentially making the black background with the cross left in open space. I researched at how we view space and distance, basically attempting to make one smaller square inside a larger square on the surface of the the design piece. Almost like looking down a hallway, I engaged the viewer to look further into the centre of the piece, drawing the eye into the middle of my installation in hope to cancel out anything around it. I used 16mm threaded rods to elevate my work from the ground, joined by using connecting bolts. I attached 2 or 3 together as each piece became taller as they got further away. 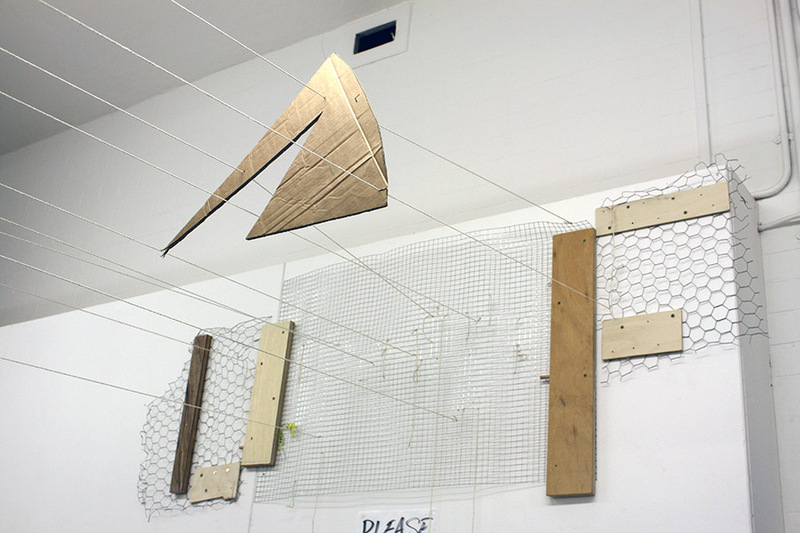 The aim was to raise the eye line, as each of the 8 pieces of plywood also became larger as they got further away, to create the illusion of a flat image. Originally I wanted to lift my work from the ground with the use of strings or ropes, which can be seen in my previous 1:1 prototypes, sadly I couldn’t achieve this in the museum garden location. A massive part of this project has been working around and adjusting to the location and the audience who attend the garden. To secure each of the 8 sections and the threaded poles to the ground, I used garden umbrella stands that were filled with 13 litres of water to add stability. Another consideration was to make sure all materials used were weatherproof. Working with multiple mediums has been great, from the woodwork, to the metal attachments, to plastic bases, it was really nice to use a variety of objects and materials to complete and realise my work. I came straight into second year at Camberwell last September, after studying for two years on a Furniture Design and Making degree course in Oxford, so I’m pretty new to Camberwell. This was quite a change from my previous course, although my foundation was originally in 3D Design. Really, I’ve returned to my original love of 3D design. The courses I attended before didn’t fulfill me creatively enough and I am so happy to be studying here, somewhere I feel stimulated on a very broad course. The great thing about 3D design is that you can dip into different techniques and practices: furniture, lighting, interior, product, sculpture, installation, jewelry, fashion and even stage and prop design or model making. I mean the list goes on, I’m definitely over the moon I took the risk to find something I actually love to do. Outside of my studies I like to skateboard when I can, I used to do it quite a lot and was sponsored for a while in my later teens. Also I like my 35mm film photography and love my fashion. Another hobbie I guess, I buy and sell vintage clothing from the 90s, mostly bought from the states and sold here.